We provide serious solutions for people concerned with their health and posture. 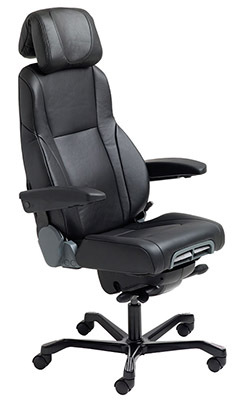 Our chairs lead the market with technology, comfort and features. Unlike cheap chairs, they also provide very high weight ratings for bigger individuals - guaranteed. Same technology used in high-end trucks for those who demand the very best. 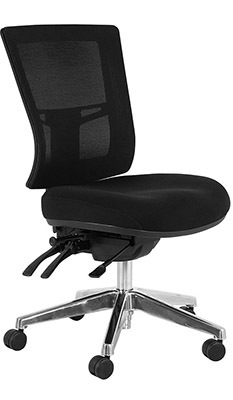 Unique to this new office chair is a seat slide feature and an independent seat-cushion tilt adjustment. These enable the user to customise the length and angle of the seat-pan to suit their individual needs. 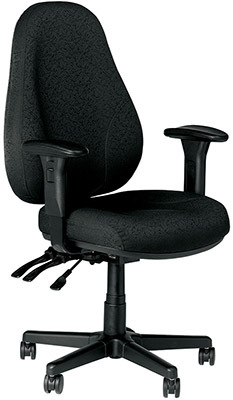 This makes this chair more versatile in 24/7 shift work environments where user shapes and heights often differ dramatically. Another new feature is the addition of pockets. These are designed to house the user's mobile phone and ipod. Furthermore, the chair now also includes the ACS comfort headrest as standard which offers the user much more customised neck support. AFRDI Level 6 – Severe Commercial certification.